The referees ruled the Philadelphia Eagles scored a touchdown on a play that challenged everything we’ve come to learn about the NFL’s confusing and controversial catch rule. 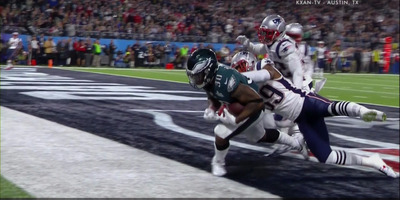 NBC analyst Cris Collinsworth exclaimed “I give up!” when the referees ruled it a touchdown, and he wasn’t alone, as many others expressed confusion over the call. 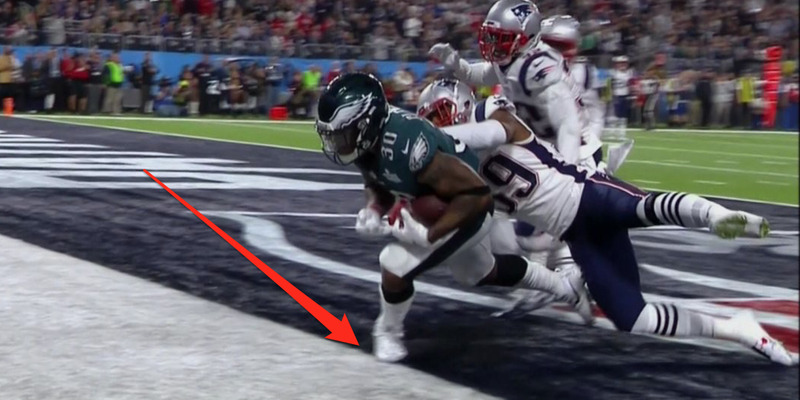 The Philadelphia Eagles got a huge third-quarter touchdown that challenged everything we’ve come to learn about the NFL’s confusing catch rule. After Nick Foles found Corey Clement in the end zone on a 22-yard pass, the referees ruled it a touchdown, but then reviewed the play. Replay showed that Clement had two steps in bounds, but appeared to be bobbling the ball on the first step, meaning he would need two more to make it an official catch. On his third step, Clement’s toes were out of bounds, meaning Clement did not appear to have two steps in bounds with the ball secured. However, when the referees finished the review, they ruled that it was a touchdown. “I give up!” NBC analyst Cris Collinsworth said, summing up what continues to be mass confusion over what constitutes a catch in the NFL. Even Bill Belichick appeared to give what looked like an eye roll when the refs made the call. Collinsworth and Belichick were not alone. Others in the NFL world were just as confused by the call. That wasn’t what we would have seen earlier this season. Ball moved, and then when he re-gained control, he didn’t get both feet down. Replay's in place to overturn obvious calls. Not 80-20 or 70-30, so I'm OK with sticking what was called on the field here. Still don't know what a catch is tho. In January, Roger Goodell said he would like to completely re-write the catch rule to make it more obvious. If the catch rule comes back to play a big part in the Super Bowl, the NFL will be under even more pressure to clarify one of the basic aspects of the game.